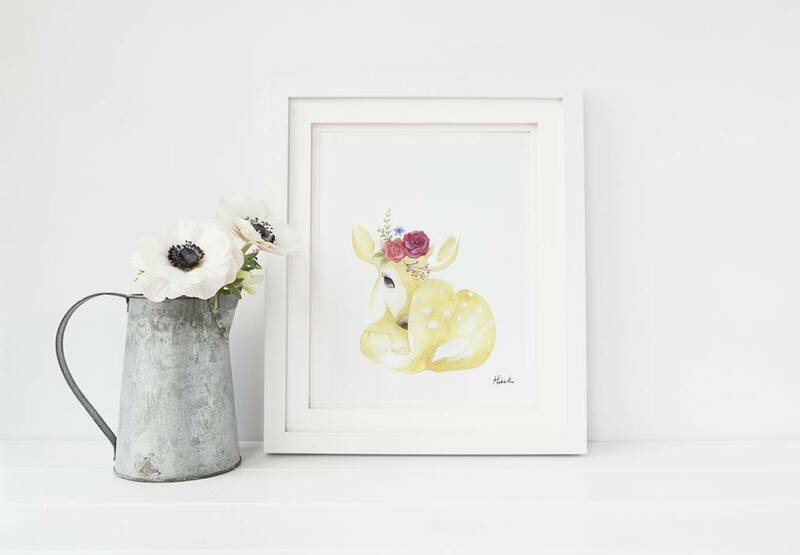 Let wild animals and plants take their place in your bedroom of your child's. Pair this poster with a bouquet of fresh roses for a springtime decor. This drawing is available in two sizes.